But what does this have to do with craft? Well, during the heady days of the ‘craft room’ phase, I started keeping all my old clothes rather than junking them to charity shops in an effort to pretend that I was going to mash them all up into some eclectic new fashion.They are still there, forlornly hanging on the clothing rail. 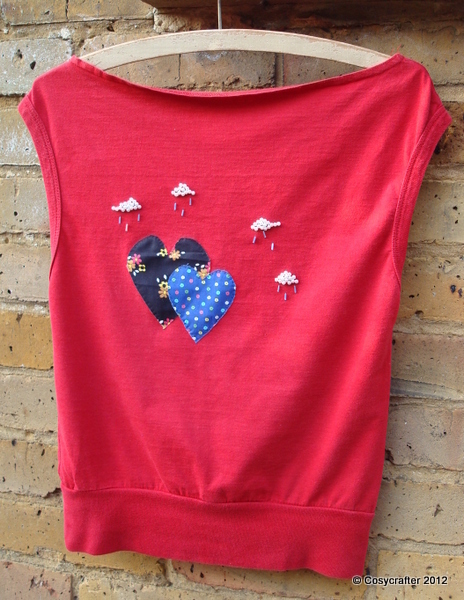 Except for the old red top in the picture, which I eventually pulled off a hanger and actually did some work on. 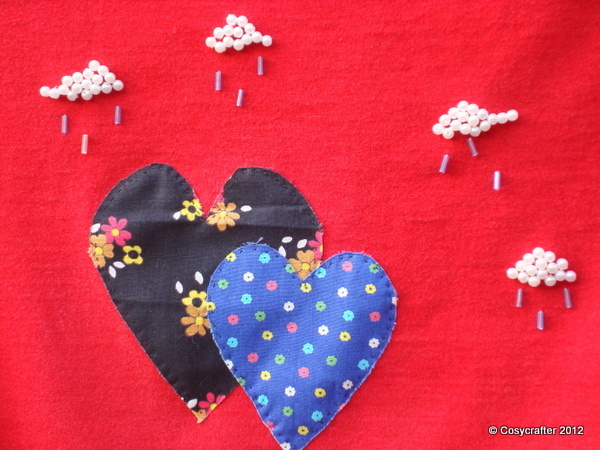 The result as you can see is a rather pleasing design of fabric hearts and clouds made out of pearls and beads.